Our Custom Online Training Solutions bring you the aspects of our live training program into an online course that can be completed in your own time frame, and in your own location. All online courses are customizable in the same way as our live training and can be fully branded for your organization. Users find the videos easy to relate to. Affordable with a quit return on your investment. Significantly less of an investment than live training (per employee). Sets clear expectations for company standards for best selling and customer service practices. Convenient with no travel costs. Shows consequences of poor customer service. 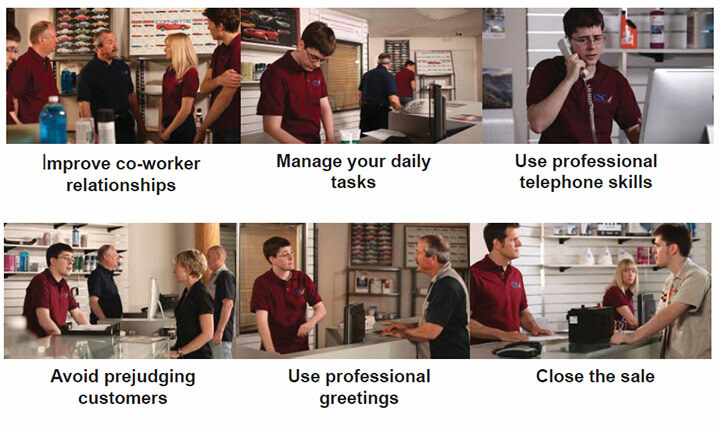 A customer service ‘Sales Checklist’ is provided that can be easily tailored to provide consistent standards. Professional actors portraying real-life, often humorous situations. Videos are an important part of this course, demonstrating optimal customer service, selling methods, as well as demonstrating the wrong with which can sometimes be humorous and entertaining. A short quiz follows each video. 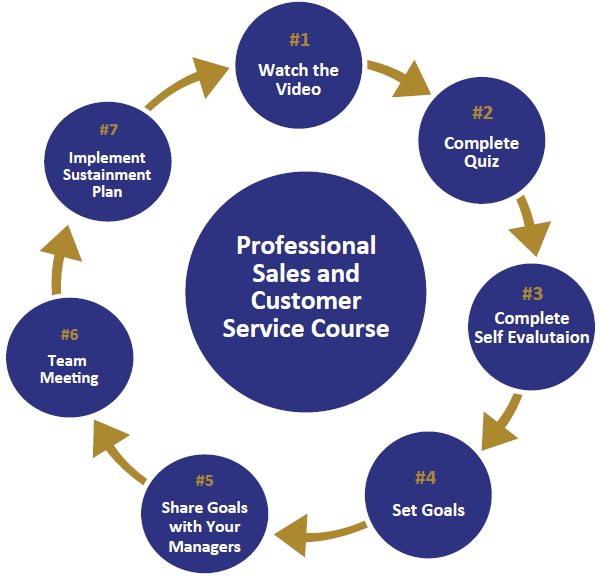 Then a self-evaluation lets you record how you view your selling and customer service skills, helping you identify areas that need to be improved upon. Increase Store Sales, Profitability and Productivity! The POSITIVE Sales Process will give your selling style a complete makeover, refine your closing techniques, and give your sales numbers a major boost. Offering a fresh, new relationship-building guide, this course will totally transform your work environment. At the heart of the process is the authentic adoption of a positive attitude, some valuable time-management principles, and methods of creating a successful outlook. In no time at all, you will be making a positive, lasting impression on each and every customer – using professional greetings, phone skills and eye contact, and handling interruptions with ease. You will also be engaging customers as you ask the right questions, identify their needs, address their concerns, and supply them with everything they need as you close their sales with confidence. This course offers foolproof techniques for problem-solving, building a team spirit with customers and maintaining a high level of professionalism. Adopting the POSITIVE Sales Process will make your work more enjoyable, improve your relationships with customers and boost your sales. See for yourself!